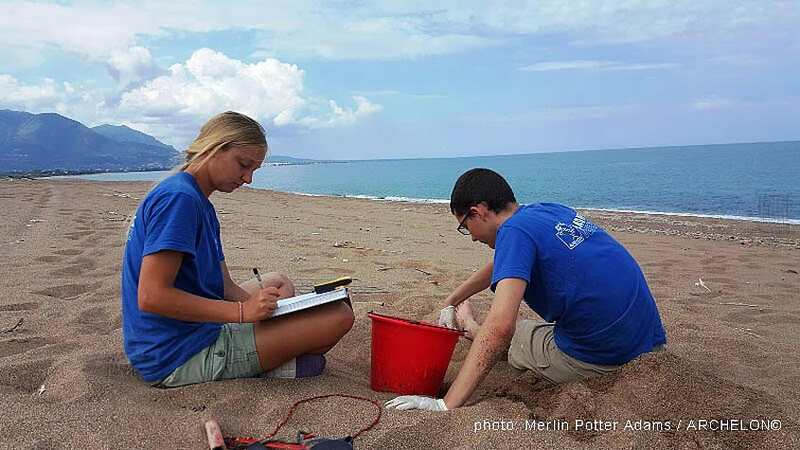 May 8th, May 26th and June 2nd are the respective starting dates for ARCHELON’s conservation projects in the Peloponnese, which will be completed by the end of September. People from many countries, including Greece, many of them of young age, as well as groups and families are applying for participation in the loggerhead conservation projects on the nesting beaches of Kyparissia, Lakonikos and Koroni. Hundreds of female loggerhead sea turtles have already started their journey to the nesting beaches of Greece. Almost half of the nests of this protected species in the Mediterranean, will be made in Greece. According to ARCHELON’s data, a total of about 6000 nests were recorded in the main nesting beaches of Greece in 2018 and 4300 of them were located in the Peloponnese. In other words, about 195.000 hatchlings from the beaches of Peloponnese reached the Mediterranean in 2018 and 173.000 from them came from nests protected by the volunteers of ARCHELON. Out of these thousands of hatchlings, few – at best one in a thousand- will make it to adulthood. The Kyparissia project is the first to start, in the beginning of May, as the coastal waters of the Bay and the long sandy beach in this area, host one of the largest breeding populations of the loggerhead sea turtle in the Mediterranean. This area hosted more than 3200 nests in 2018 and since last October has been declared as Nature Protection Area. ARCHELON’s project includes monitoring and protection of nests against a number of pressures and public awareness. 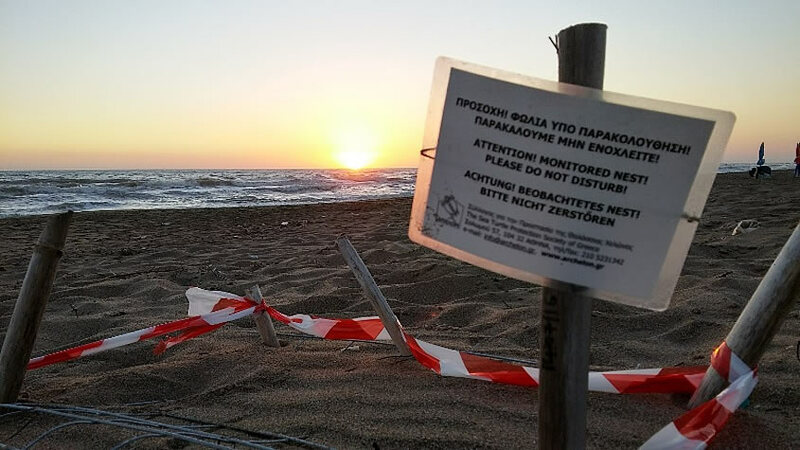 Nesting of loggerheads is also observed in the beaches of Kotychi, north of Kyparissia Bay, where ARCHELON is recording and protecting nests for the last 2 years, in collaboration with the National Wetland Park there. Similarly, nests are recorded and protected in Romanos beach, near Pylos, south of Kyparissia Bay, in collaboration with COSTA NAVARINO. The Lakonikos project, which comes second in number of nests in the Peloponnese, will start at the end of May. The project surveys and protects nests in the beaches of Evrotas, Valtaki, Selinitsa, Mavrovouni and Vathy. A total of about 500 nests were recorded in this project in 2018. The beaches of Monemvasia and Elaphonisos are also monitored and sea turtle nests are protected by ARCHELON in collaboration with the local Society Tulipa Goulimis of Neapoli. The Koroni project in Messinia Bay will start at the beginning of June. Τhe beach near Koroni hosted more than 110 nests in 2018. There is a lot of local support to the project, nevertheless half of the beach furniture was not removed from the beach during the night and in several occasions vehicles were driven on the beach. About 5000 visitors were informed about the sea turtles nesting in the area by ARCHELON’s volunteers, with the cooperation of the Municipality. This is a project where families with children aged more than 8 can also participate. 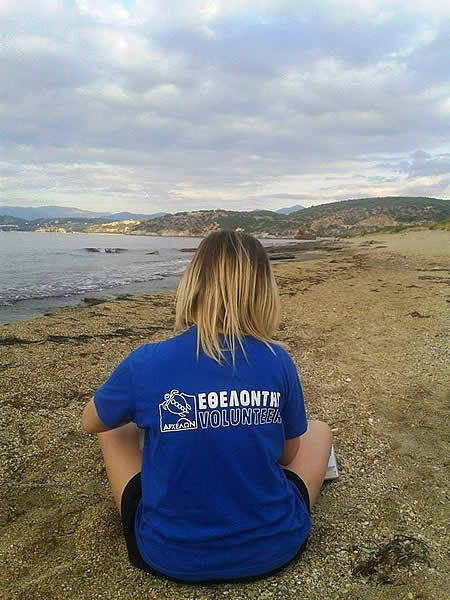 More than 500 people from Greece and worldwide, volunteer to participate in ARCHELON’s projects from May to September every year. Training on their duties is provided by experts and they have the opportunity to enhance their practical skills and experience being part of an international conservation team. More than 60 internships are provided every year in collaboration with 30 educational establishments. Information about ARCHELON's programs in Zakynthos, Crete and the Peloponnese can be found on our website: https://www.archelon.gr.